All of my wedding packages include an engagement shoot in the Orange area. Often we get to do these in winter when the light is spectacular the the vibe is completely different to what the couple's wedding day with look and feel like. It doesn't snow very often in Orange, but when it does it's a big deal! Most of the time it stays white on Mount Canobolas for the day and if we are really lucky it will fall and stay in town for a few hours. 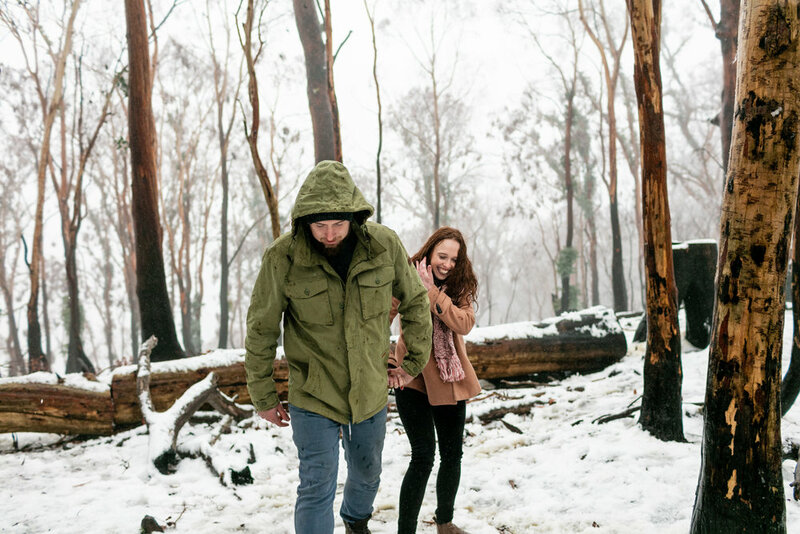 It gets pretty cold in winter and when it finally snows it feels like all of the chilly nights are totally worth it and Mount Canobolas briefly turns into a winter wonderland. 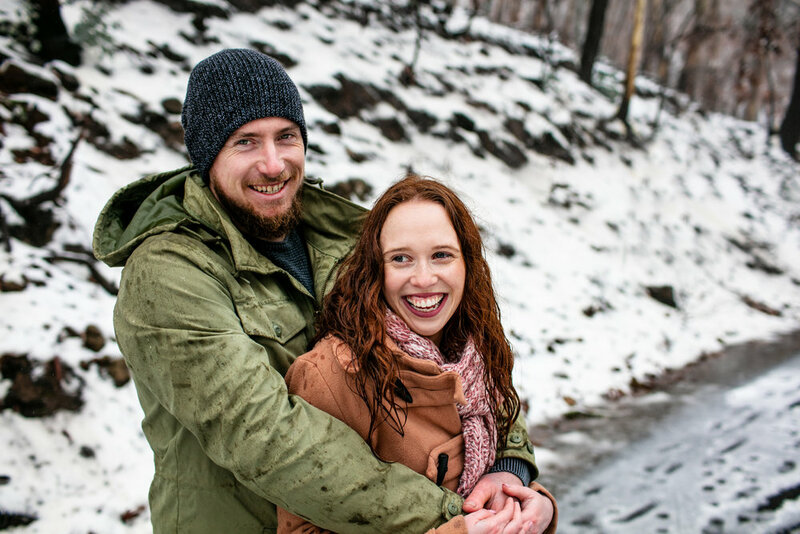 I called Lauren and Luke in the morning when it started snowing and luckily we were able to meet on the mountain a few hours later. They are brave souls. It was freezing, sleety and slippery on the ice. But totally worth it!